The view from the back deck of the lake house. Today is a good day. I am feeling happy and grateful for all that I have. I have been reading a lot about gratitude and joy. With any type of mental illness (in my case depression) it’s definitely easy to forget sometimes how lucky I truly am. I have a wonderful family and a great group of friends. Instead of focusing on what I don’t have or what’s missing, I am instead choosing to embrace the people who love me and want to be in my life. They are each one a blessing and I am making a point of sharing this with them. I am trying to be kinder and gentler in my approach of people. I tend to be very direct and good or bad, you will always know where you stand with me. I am getting in touch with my inner self and I think this will be a positive thing. I’m learning it is better to be kind than it is to be right. I’m also a smartass but this I cannot change lol. Thankfully, my Hubby and those closest to me know that under my tough exterior lies a huge, passionate and sensitive heart. I am caring, compassionate and loyal to a fault (yes I am aware of the irony of this, thanks). To be loved and accepted for who you are is a gift that I treasure. I’m going to my friend’s beach club cabana tomorrow. I have absolutely nothing to complain about. 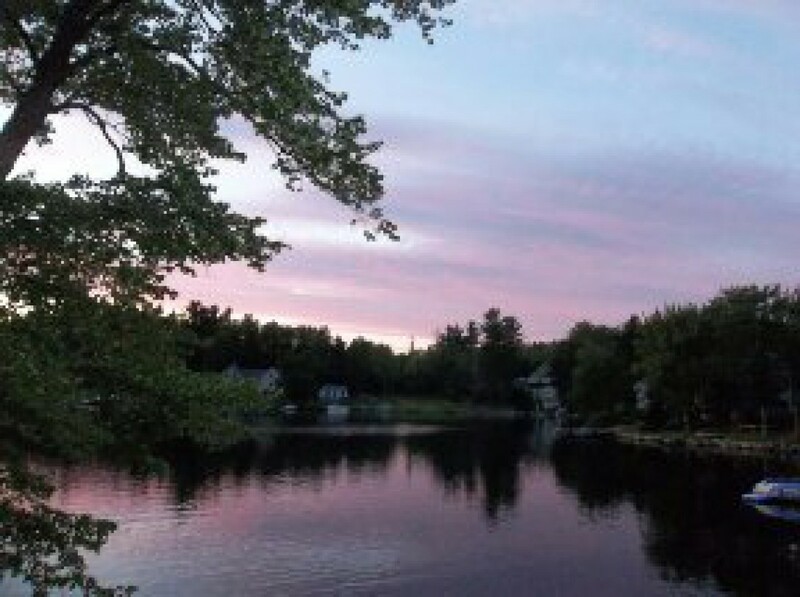 In 2 weeks I have a week vacation and we will be spending it at my parent’s lake cottage. It is so peaceful, beautiful and relaxing there. I have so many wonderful memories there, especially of my Mom. She designed the house and I can strongly feel her presence whenever I am there. This is wonderful news! I hope you have a great time! Keep smiling! wish I could you double! nice to to seeing your happiness. enjoy your weekend. Somehow the heart always knows how to finds its way back home. Home is gratitude and even a little gratitude goes a long way! Awesome,stay blessed! Wonderful outlook on your life. I am happy to see you making this positive adjustment! Thanks Vic! How are you feeling? Pretty good, cannot complain. Thanks for asking! Love the quote from Lessons in Life. So true. Enjoy your vacation. Time well spent with those you love, and who love you, is priceless. Sounds like a perfect opportunity to work on that baby-making task! Enjoy! Lol yes it hopefully will be. Thnx! Are you familiar with the poem, “Do It Anyway”? I’ve seen it attributed to someone else but I think it’s most widely known as being from Mother Teresa. Im not a bible beater, don’t worry. But it is good advice. I posted about it a couple days ago if ya wanna check it out.